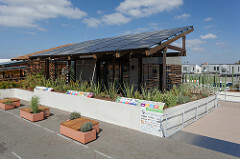 Arizona State University and The University of New Mexico's SHADE House placed 17th overall at the U.S. Department of Energy Solar Decathlon 2013. 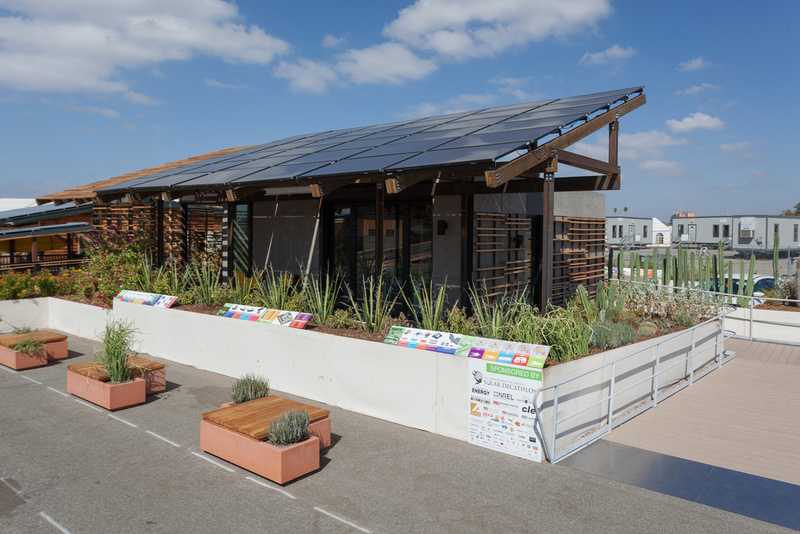 After the competition, SHADE (Solar Homes Adapting for Desert Equilibrium) was reassembled at a solar housing community in Albuquerque, New Mexico, called Mesa Del Sol. There, further research was conducted on smart-grid integration and the radiant/thermal storage and controls systems. It also served as a staging point for the Clinton Global Initiative’s Day of Action in March 2014. More recently, SHADE has been on display as part of the PHX Renews site in Phoenix, Arizona. PHX Renews was created through a partnership of Keep Phoenix Beautiful, the City of Phoenix, and Barron Collier Companies. SHADE is open to the public. Arizona State University students and students from The Design School and the School of Sustainable Engineering and the Built Environment continue to study the performance of the building and landscape systems. Public tours: The PHX Renews site is open to the public daily from 7 a.m. to 6 p.m. For more information, visit phxrenews.org.